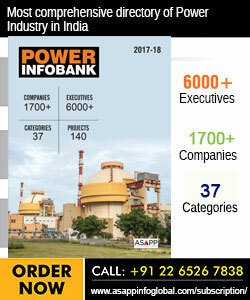 Andhra Pradesh Power Generation Corporation (APGENCO) is one of the pivotal organisations of Andhra Pradesh, engaged in the business of power generation. Apart from operation and maintenance of the power plants, it has undertaken the execution of the ongoing and new power projects, scheduled under the capacity addition programme and is taking up renovation and modernisation works of the old power stations. APGENCO came into existence and commenced operations from February 1, 1999. This was a sequel to the governmentÆs reforms in the power sector to unbundle the activities relating to generation, transmission and distribution of power. All the generating stations owned by erstwhile APSEB were now transferred to the control of APGENCO. APGENCO has been one of the premier power generating organisations of the nation and the kind of growth it has witnessed over the past few years vindicates the same. 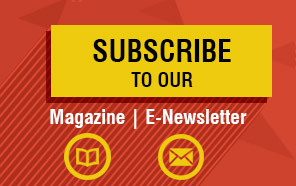 The company has a vision to become a modern world-class power generating company, committed to powering Andhra PradeshÆs growth on all fronts by maximising generation and minimising the cost of power from the existing plants and by planning and implementing new generation projects. One noticeable factor is that APGENCO added a capacity of around 186.75 MW in the hydro segment. 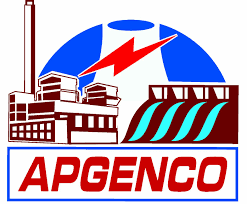 - APGENCO achieved annual generation of 20,463.8 MU. - Thermal power stations (NTTPS and RTPP) achieved annual generation of 17746.1 MU. - Thermal power stations (NTTPS and RTPP) achieved 71.5 per cent plant load factor. - Hydropower stations achieved annual generation of 2,709.6 MU. - Generation from solar plant is 8.0 MU. - Thermal power stations achieved the highest daily generation of 65.223 MU on March 14, 2018. - Hydel stations have achieved the highest daily generation of 24.794 MU on October 10, 2017. - Solar generation has recorded the highest daily generation of 0.0326 MU on February 26, 2018. - Dr NTTPS achieved 70.2 per cent PLF and Rayalaseema TPS achieved 73.7 per cent PLF. - Thermal stations achieved 80.26 per cent deemed PLF (Dr NTTPS-76.89 per cent and RTPP-85.88 per cent). APGENCO has an ambitious plan to add sufficient generating capacity in the state in order to bridge the gap between demand and supply. To spearhead accelerated power development, it is planning for the implementation of new power projects, viz. Krishnapatnam (1,800 MW), TRPP Srage-IV (1,600 MW), NTTPS Stage V (1,800 MW), NSTPD (225 MW) and Polavaram (1,280 MW).